Frank Kelly Freas, an artist and illustrator whose work included luminous images of amiable aliens beloved by science-fiction fans, the jug-eared visage of Alfred E. Neuman for Mad magazine and the crew shoulder patch for Skylab I astronauts, died on Sunday at his home in Los Angeles. He was 82. Mr. Freas (pronounced Freeze) was best known for the illustrations in more than 300 magazines and books that won him 11 Hugo awards, presented by the World Science Fiction Society and considered among the highest honors for a science-fiction illustrator. His whimsical, highly personalized style was characterized by vibrant colors and a sort of cosmic haze well suited for depicting bejeweled alien princesses. Wrinkles and other details added realism. Mr. Freas did not invent Alfred E. Neuman, the gap-toothed champion of adolescent rebellion whose motto was "What, me worry?" and who was given to making pronouncements like "A teacher is someone who talks in our sleep." But he told The Virginian-Pilot in 2001 that his illustrations gave "Alfie" his personality. 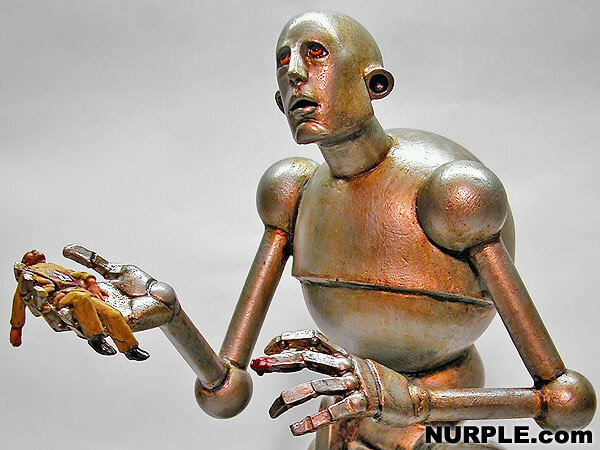 What became one of his most famous works showed a giant robot holding a dead man in his hand. It first appeared on the cover of the October 1953 issue of Astounding Science Fiction magazine. 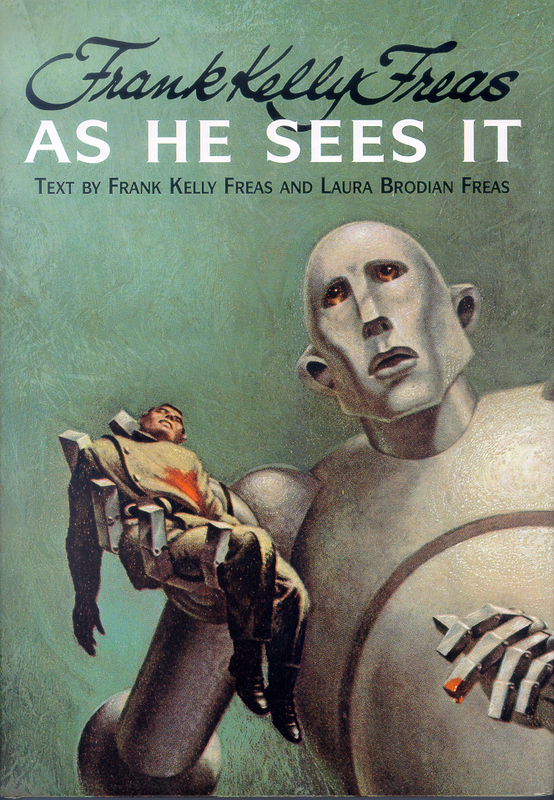 Years later, two members of the rock group Queen asked Mr. Freas to reprise the image with band members in the robot's hand. 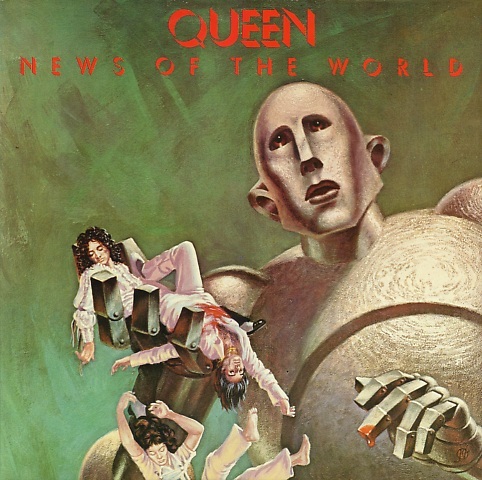 In 1977 it appeared on the cover of Queen's album "News of the World," which contains the ubiquitous tune "We Will Rock You." Mr. Freas (pronounced Freeze) was best known for the illustrations in more than 300 magazines and books that won him 11 Hugo awards, presented by the World Science Fiction Society and considered among the highest honors for a science-fiction illustrator. His whimsical, highly personalized style was characterized by vibrant colors and a sort of cosmic haze well suited for depicting bejeweled alien princesses. Wrinkles and other details added realism. Mr. Freas did not invent Alfred E. Neuman, the gap-toothed champion of adolescent rebellion whose motto was "What, me worry?" and who was given to making pronouncements like "A teacher is someone who talks in our sleep." But he told The alien princesses. Wrinkles and other details added realism. Mr. Freas did not invent Alfred E. Neuman, the gap-toothed champion of adolescent rebellion whose motto was "What, me worry?" and who was given to making pronouncements like "A teacher is someone who talks in our sleep." But he told The Virginian-Pilot in 2001 that his illustrations gave "Alfie" his personality. 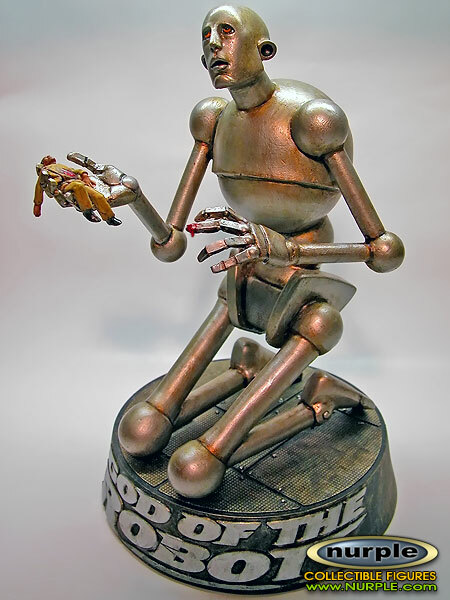 What became one of his most famous works showed a giant robot holding a dead man in his hand. It first appeared on the cover of the October 1953 issue of Astounding Science Fiction magazine. 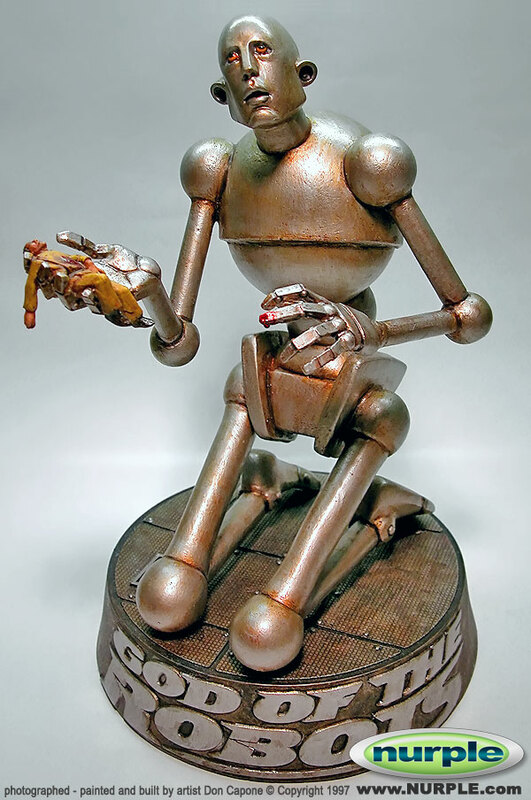 Years later, two members of the rock group Queen asked Mr. Freas to reprise the image with band me image with band members in the robot's hand. In 1977 it appeared on the cover of Queen's album "News of the World,"